Ships today if you order in the next 2 hours 54 minutes. This blend of scientifically-researched Echinacea with antioxidant-rich traditional herbs delivers powerful support for the bodys response to challenges that trigger our immune systems. Quick Defense is designed to be fast-acting when dosing starts at ONSET and needs to be taken for only 2 to 4 days. Through 5 years of federally funded research, Gaia Herbs has identified key chemical differences in Echinacea that have a huge impact on efficacy. 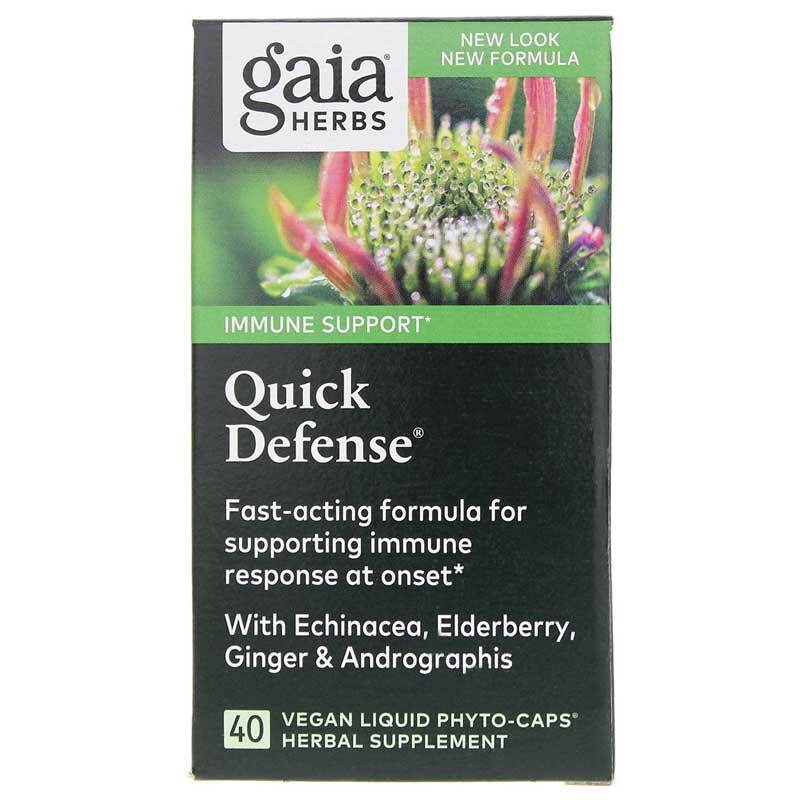 Quick Defense is based on the discovery of how Alkylamides found in the roots of certain species of Echinacea offer the most beneficial support for the bodys immune response to seasonal triggers. 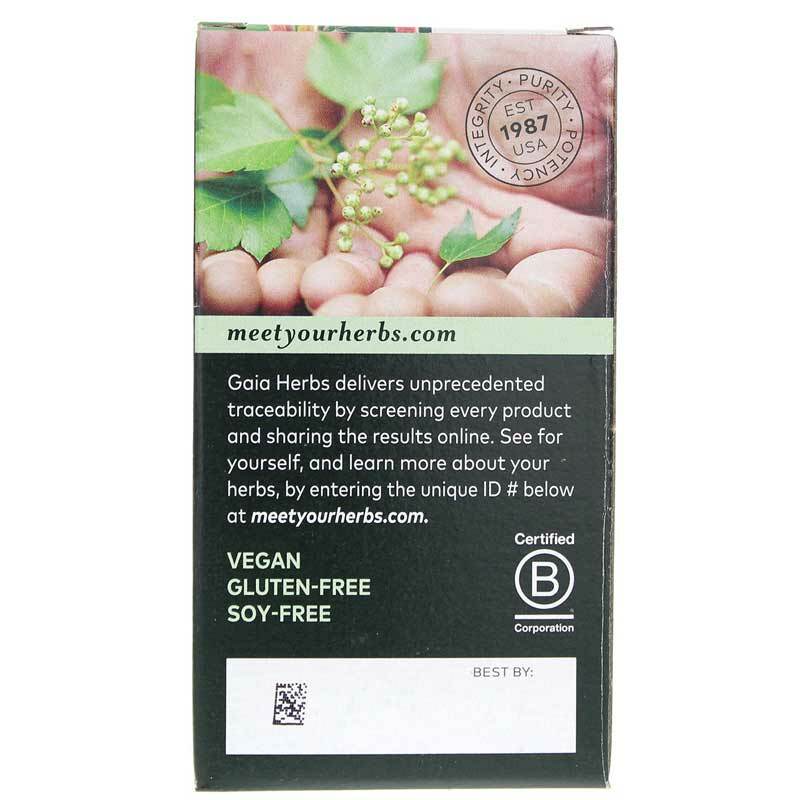 Other Ingredients: vegetable glycerin, certified organic olive oil, capsule (chlorophyll vegetable cellulose). 100% vegetarian, dairy free, no gluten-containing ingredients. 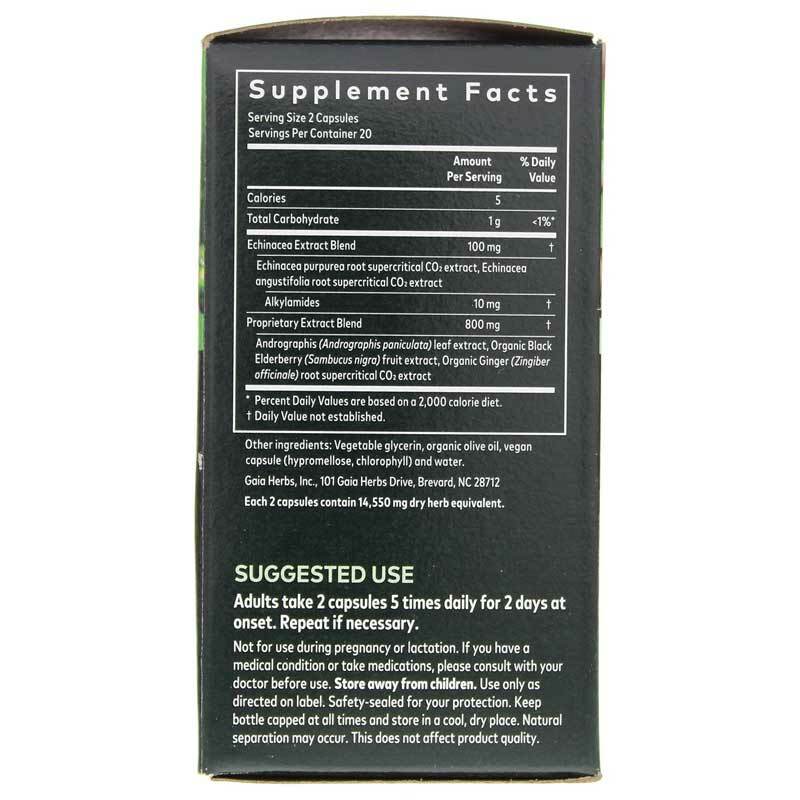 Adults: Take 2 capsules, 5 times daily for 2 days at onset. Repeat if necessary.